Admitting you need help is the first step to recovery. 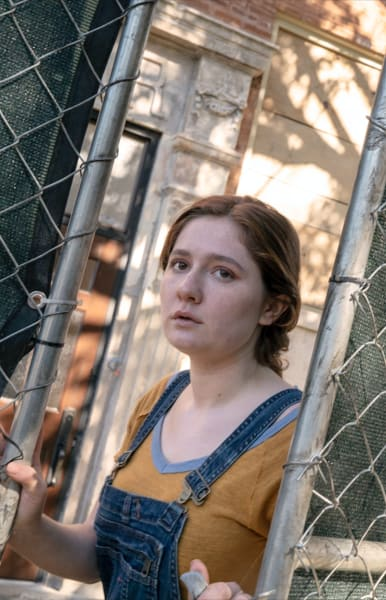 Shameless Season 9 Episode 12 found Fiona hitting rock bottom, and it was about time. After becoming a successful businesswoman, and someone who stood to make a lot of money from her own apartment building, managing Patsy's and investing, Fiona lost it all. It was cruel to take everything from Fiona, especially when you consider the fact that she's raised her siblings, worked several jobs to keep them above the breadline. She aspired to beat the odds and make something of herself. She was well on that track, but the going got tough, and she turned to alcohol to self-medicate. 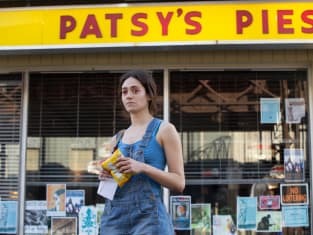 People fall down and need some assistance, and I'm starting to understand why the powers that be chose this arc for Emmy Rossum's final episodes. 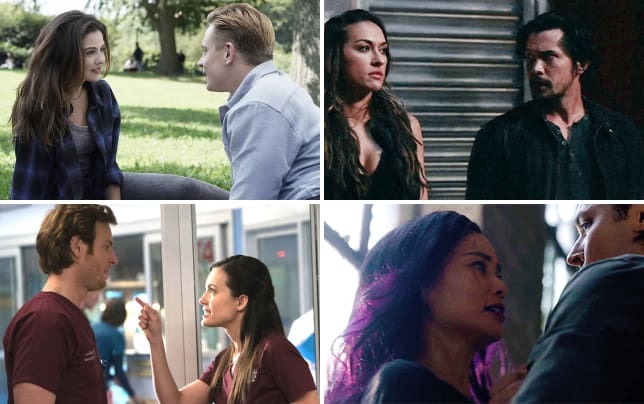 Anyone can fall down, and while I still think Fiona deserved better, this is going to be a meaningful farewell to a character who has been at the center of the show since it premiered back in 2011. Frank: If you need a little walking around money, you should hang with me today. Fiona: Why would I do that? Frank: Where there's panic, there's money to be made. Permalink: Where there's panic, there's money to be made. The most awkward thing about her continued fall was that Frank was the one who told her her actions were not right and that she's drinking for all the wrong reasons. Who would have thought that Frank of all people would be that type of dad? Hell, he even admitted to Lip that Fiona was the one who raised him and his siblings. That's not usual for Frank. He could see his daughter was traveling a dark path, and in all honesty, it made me like Frank again. Having Fiona and Frank working together made for some comical scenes, but it also made me realize that this is likely the only time they'll ever work together given Rossum's looming departure. As for Lip throwing Fiona's belongings out of the house, that was low, but he's met lots of people who have been alcoholics and knows the triggers to get help. His rage seemed fueled by what happened with Xan and the man he was sponsoring. In reality, he wanted to push his sister to the point she knew she needed to get help. I'm glad he made V realize that or else Fiona would not have sought help in the final moments of the episode. Waking up in the rundown version of the building that was once hers was a powerful scene. Walking into the AA meeting and Lip already being there was beautiful. It helped Lip realize his sister was actually trying to better her life, and now that he knows she's serious he's going to help her out. The more likely scenario that leads to Fiona's exit is that she gets a job well away from the city with the aim of making a clean break. At least, that's what I'm hoping. It would be crappy if she were killed off, but something tells me the powers that be want the character alive in the event Rossum opts to make a return. As for Lip, I loved his struggle with what was happening with Xan and the prospect of becoming a father. Tammi has been running hot and cold for a while now. If you watch Shameless online, you know that the hairdresser has worried that she's going to die at a young age. Knowing you're bringing a life into the world, but not knowing whether you're going to be around to care for it is not easy to grapple with. I hated Tammi when she first appeared on the show. She was overconfident, rude, and wanted all eyes on her. But now that the layers are being pulled back on the character, she has the potential to be one of the show's best. Tammi's biggest concern with bringing a child into the world is that it could wind up with no parents. She lives life without taking many risks. Her and Lip would be amazing parents, but it's whether they can agree that they will co-parent if their relationship goes south that is the hurdle. 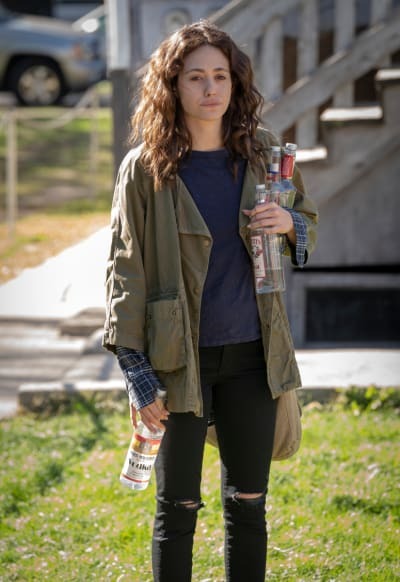 Related: Shameless Shocker: Emmy Rossum Leaving! As for the surf and turf cookout, it was the best course of action. All of that meat had to be used before it was spoiled by the lack of refrigeration. It made for an event that brought the south side together, and all of the interactions during the party were great. 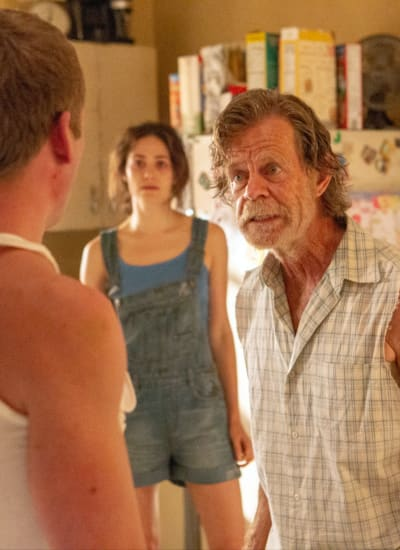 The main issue with Shameless of late is that most of the characters go off and do their own thing, and we don't get to see them checking in with the characters they get along with the most. The plot I hated was the love triangle (if we can call it that!) between Carl, Debbie, and Kelly. It's been one of the show's most tedious arcs for sure, and I have to side with Carl in the whole fiasco. There's a line, and Debbie crossed it on multiple occasions. Kelly taking out her frustrations on Carl was not warranted. She should have been able to see what Debbie was doing and to let her down gently. It makes me think that Kelly was looking for a reason to let Carl down, and that's why she allowed Debbie to get closer to her. With Kelly out of the equation, I hope the two siblings can put this chapter behind them. "You'll Know the Bottom When You Hit It" was a solid episode of Shameless. Despite some questionable plot choices, it feels like the show is getting back to the one we know and love.